Transcend has lately been shifting their focus and the company's strategy now is to concentrate on providing upgrade kits to Mac users. That was evident at their Computex booth since nearly half of the booth was dedicated to products designed for Macs and their demos. First up is the JetDrive, which consists of four models: 420, 500, 520 and 720. All these drives are similar in terms of hardware and performance and the only difference is simply the form factor and connector. The controller is labeled as Transcend but the actual silicon is from Silicon Motion (or SMI as often called within the industry) but Transcend has designed the firmware themselves. The NAND is Micron's 128Gbit 20nm MLC, which allows capacities of up to 960GB. Next up is the JetDrive Lite. It's also designed for Macs and offers an alternative way to increase the internal storage by utilizing the SD card slot. 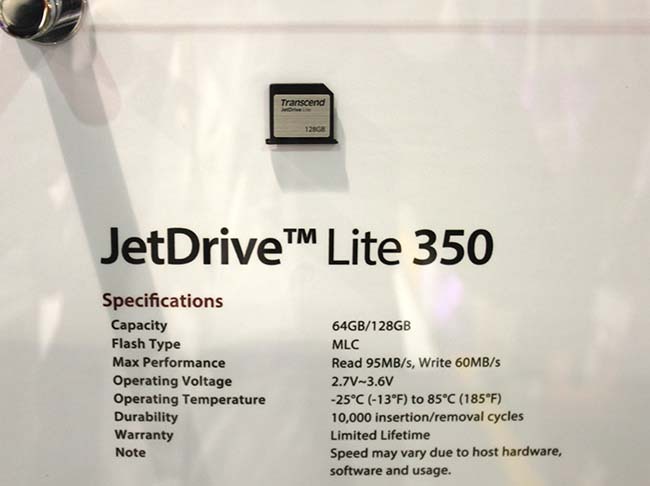 The JetDrive Lite is designed so that it doesn't stick out of the SD card slot like normal SD cards do, so it can comfortably be used as permanent storage. Performance is also fairly good at least for sequential IO but I wouldn't hold my breath for SSD-like IOPS. Once again four different models are available: 130, 330, 350 and 360 with the difference being the Mac model that the card is designed for. The supported models can be found here and all models except the 330 are available in both 64GB and 128GB capacities (the 330 is limited to just 64GB). Transcend also offers RAM for nearly all Macs made within the last decade or so, including some rarer models such as the eMac. 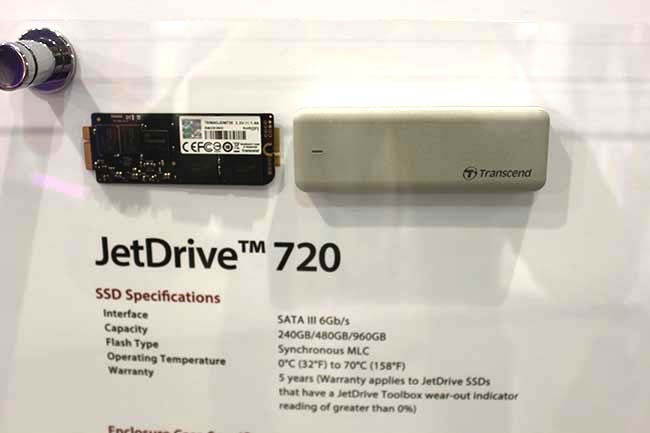 The SSD370 is based on the same custom Transcend-SMI controller and firmware with Micron’s 128Gbit 20nm NAND but it is aimed for the PC market as the retail package doesn’t include any enclosures or other accessories that the JetDrive 420 does. I’m trying to get a sample of the drive as I’m eagerly looking forward to seeing what Transcend’s firmware team has been able to add to the drive compared to the stock SMI solution. 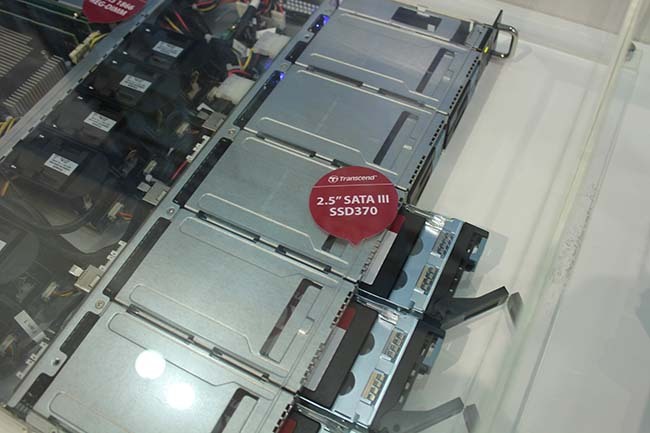 Some of Transcend’s OEM customers are already employing the SSD370 in server environments. 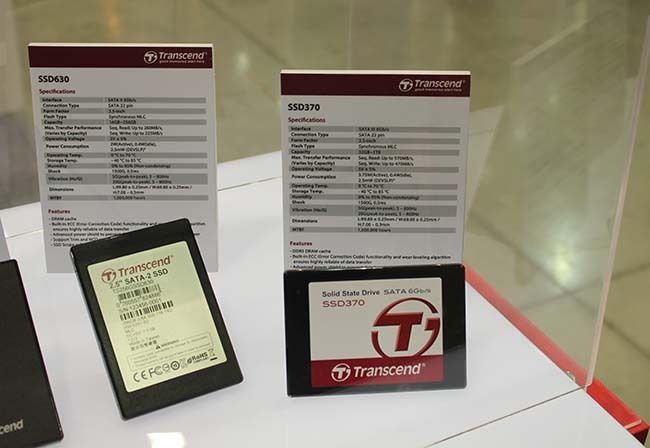 While the drive is mostly designed for the mainstream market, Transcend believes that it’s also suitable as an entry-level enterprise drive. The SSD370 (or equivalent to it) is also available in M.2 form factor in various lengths. Maximum capacities range from 256GB to 512GB depending on the length and the controller is the same Transcend-SMI solution. The CFast 2.0 memory cards are designed for high-end video cameras and DSLRs that are capable of recording 4K video. Good quality 4K video, especially uncompressed one, may easily require hundreds of megabytes of throughput per second, so the cards utilize SATA 6Gbps bus to ensure SSD-class performance. 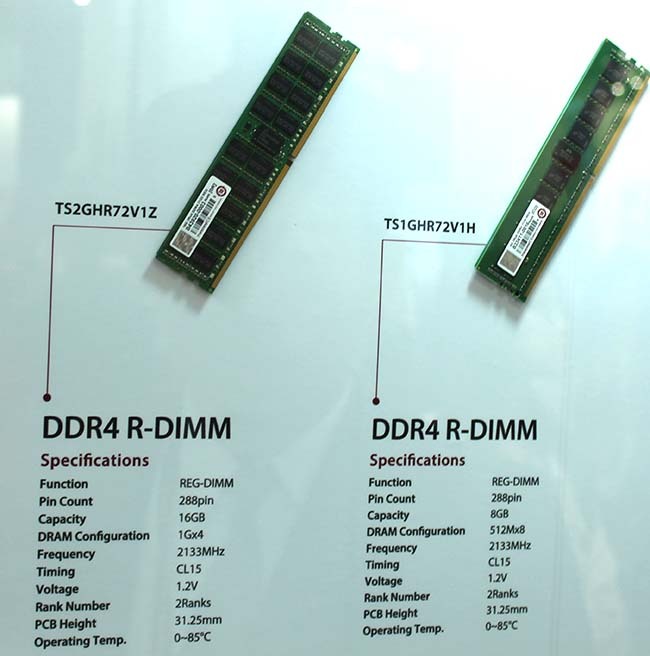 This year a visit to a memory OEM almost guaranteed a sneak peak of DDR4. 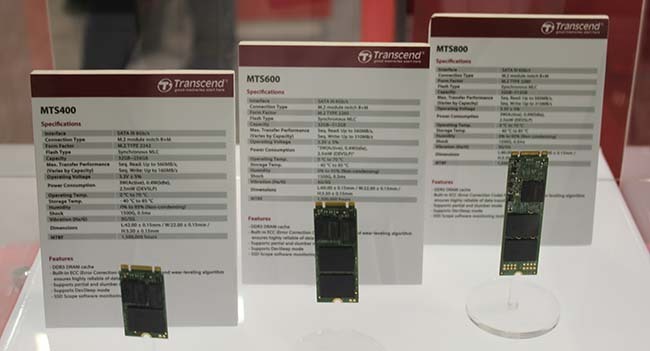 While Transcend isn’t one of Intel’s official launch partners, they have a full lineup of DDR4 ready, although it’s mainly geared towards the enterprise market.